Natural Wine Will Flow Freely at East Williamsburg's Raw Wine Fair! 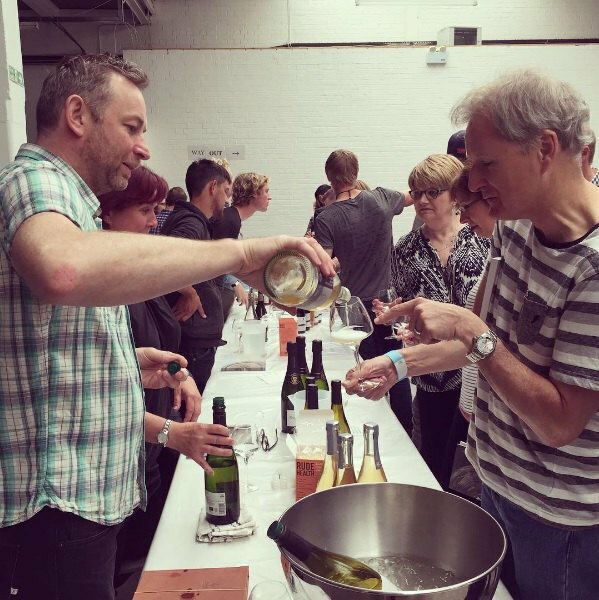 The Raw Wine Fair is an annual celebration of natural wine that strives for industry transparency for the wine drinker's benefit. Set aside your anxieties about the upcoming presidential election on Sunday, November 6 and Monday, November 7 and take some time to learn about wine: a vast natural wine far is coming to East Williamsburg! Raw Wine, a wine fair for artisan-made wines and the oenophiles who love them, is the creation of France’s only female Master of Wine, Isabelle Legeron, who first held the event in London in 2012. She's since expanded to Berlin; this weekend's event will be the fest's first annual event in the United States! Here's the scene you can expect at the Raw Wine Fair. Photo courtesy of the Raw Wine Fair. The Raw Wine Fair is a natural counterpart to the modern whole foods movement in that the organizers believe that consumers have the right to know precisely what's in each glass. Every wine at at the fair will have its ingredients listed and will be served by someone with a working knowledge of its origins, and from the vine to the bottle, all of Raw Wines's offerings are produced sustainably. "We have been thinking about bringing the fair to New York for a couple of years now," Legeron tells Bushwick Daily. "We’d had quite a few requests from people in the US trade at large, as well as from the growers themselves, to take the fair across the pond. Raw Wine is a global community and we already had attendees from the other side of the Atlantic attending both the London and Berlin editions so it was only fair to bring it a little closer to them. We finally plucked up the courage and here we are!" The two-day celebration of natural wine will run from 10 a.m.-6 p.m. on both days, and will be held at 99 Scott Avenue inside the 22,000-square-foot warehouse that property owners once hoped to convert to a winery. Advanced tickets purchased online are $50 for a one-day pass and $80 for a two-day pass. Tickets purchased at the door are $65 for a one day pass and $100 for a two-day pass. Raw Wine tastings are free! Over 120 winegrowers and producers adhering to either organic or biodynamic farming practices will come together at Raw Wine. A Raw Wine attendee samples a chilled white wine. Photo courtesy of Raw Wine Fair. In addition to the reds and whites, pizza from Roberta's, Korean barbecue from Insa in Gowanus, Vietnamese food from Bun-Ker and joe by local roasters Parlor Coffee will be available, too. 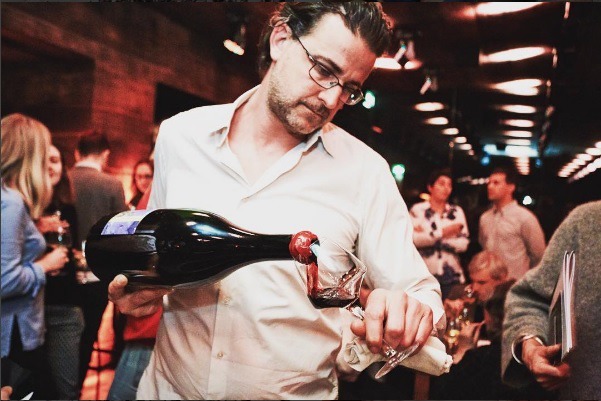 Select talks given by winemakers and sommeliers will happen in tandem with the tasting, including a presentation by Legeron herself. 12 p.m.-1 p.m.: Natural Wine with Isabelle Legeron, Master of Wine. Featured image: An expert attentively decants a red wine. Photo courtesy of RAW WINE. An event space between Randolph and Meserole streets near the Jefferson Street stop on the L train. 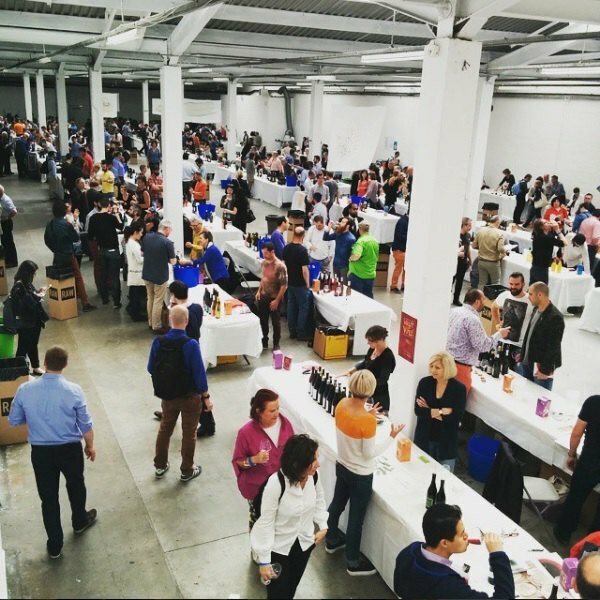 Raw Wine Fair New York is happening Sunday, November 6 and Monday, November 7, from 10 a.m. —6 p.m. on both days. Follow the Raw Wine Fair on Facebook, Instagram, and Twitter.